Toyota Financial's Ralph Fisco: Online could account for up to 70 percent of the lender's sales over the next 18 months. 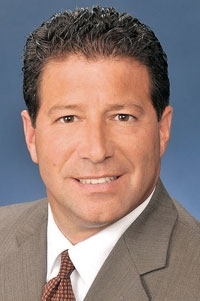 NEW YORK -- Toyota Financial Services sells about half its off-lease and repossessed vehicle volume online, up from about a third a little over a year ago, said Ralph Fisco, the company's national manager of remarketing. Fisco said physical auctions remain an important part of Toyota Financial's remarketing strategy, but he acknowledged that online sales have the potential to increase to 60 to 70 percent of the lender's volume over the next 18 months. Increasing online sales was part of Toyota Financial's overall strategy to become more efficient by exposing its portfolio to as many buyers as possible, Fisco said. "We've been very consistent in our approach and strategy," he said here last month during the National Auto Auction Association meeting. "We're consistent in the product we're offering. We're consistent in how we're pricing that product -- we price online inventory the same as we would price it in our physical lanes -- and we're consistent in what we're willing to accept to sell that vehicle." In July, 56 percent of Toyota Financial's vehicle volume was sold online, compared with 30 to 35 percent the same time last year, Fisco said. Toyota Financial gives individual Toyota and Lexus dealers who accept end-of-lease vehicles on the lender's behalf first shot at buying those vehicles. Vehicles they pass up are offered on Toyota's own Dealer Direct online channel in daily auctions to Toyota and Lexus dealers. Unsold vehicles are sent to a physical auction operated by Manheim or ADESA Inc., where they are offered in weekend online sales operated by those companies or in traditional auction lanes or both. Weekend online sales and some physical auction lane sales are open to all dealers, Fisco said. Toyota Financial offers around 2,000 vehicles in weekend online sales and expects to sell about 50,000 vehicles between the two channels this year. About half of the weekend vehicles are purchased by Toyota and Lexus dealers.